Hiring a Michigan Private Investigator is not always the easiest decision to make. This is especially true when you need to investigate a loved one. When you have nagging doubts and need answers, hiring the Best Michigan Private Investigator can help to either confirm your suspicions or give you comfort in knowing that things are not as they seem. Most states require that private investigators be licensed. With safety and discretion being of top importance, it is advisable to seek a fully licensed Michigan Private Investigator who can expertly provide investigative services within the scope of the law. Having a license means that the Michigan Private Investigator has gone through the required training and is fully certified to handle the duties that are required of an investigator. A good Michigan Private Investigator should be experienced in the type of investigation that you need conducted. Along with experience, you need to find a Michigan Private Investigator that has a clean record and a good character. An investigator should be more than willing to provide you with licensing information and references. When searching for Michigan Private Investigator services, be wary of investigators that do not operate out of an office or refuse to meet with you in person. In hiring the Best Michigan Private Investigator, you need to have the ability to form a comfortable business relationship that leaves you feeling secure. After all, you are trusting the investigator with very confidential information, so you want to be assured that you can trust them. 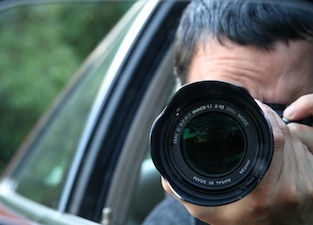 A truly professional Michigan Private Investigator offers many different services for their clients. They may provide surveillance services or background investigations. These types of services are valuable in many different situations, from a cheating spouse scenario to needing to find out the background information on a potential employee. If you are looking for the services of a qualified Michigan Private Investigator, we invite you to contact us today. We understand how emotionally charged it can be to hire an investigator and we want to make the process as easy as possible for you. We ask that you come prepared with relevant documents and information on your first consultation. If possible, we would like for you to be as specific as possible with what you are needing from our Michigan Private Investigator services. In this way, we can work together to make sure your needs are met. If you are seeking surveillance services from our Michigan Private Investigator, it can help to bring in photographs, an address, information on local hangouts, and what a typical 24-hour day looks like for the person you want investigated. The more information that you can supply us with, the better services that we will be able to give you. We look forward to working with you to provide you with the answers that you need. Our Michigan Private Investigator team is here to serve you with state of the art investigative techniques. Contact us today so that we can get started in your case.